Name Brand shoes in Size 14 are online, featuring name brands that look great! Zappos has over 6,000 (that's correct!) 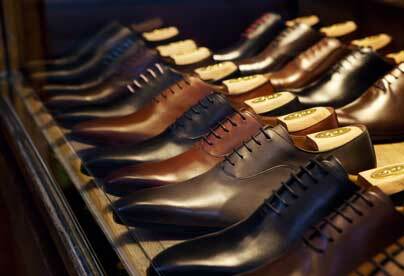 pairs of mens shoes in size 14, in a variety of styles and widths. Saks features size 14 mens shoes from Gucci, Bruno Magli, Balenciaga, Giuseppe Zanotti, and more. Shop with Nordstrom for over 1,000 pairs of men's designer shoes in mens size 14. Sperry, Clarks, Johnston & Murphy, Stacy Adams, and more. They're all here, at Macy's, and in Size 14. Almost 400 pairs of size 14 mens shoes at Penney's -- Nike, Propet, New Balance, and many more.